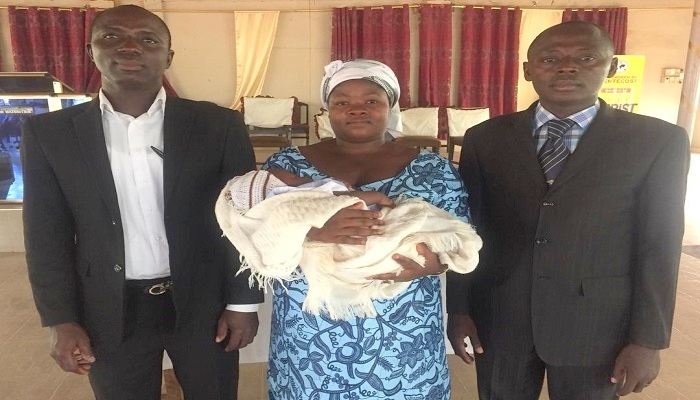 Elder Emmanuel and Mrs. Linda Owusu of Krachikrom District in the Kete-Krachi Area of The Church of Pentecost have been blessed with a baby boy after nine (9) years of marriage. The couple who got married in 2009 tried all means (both orthodox and herbal medicines) to give birth, but to no avail. However, the church never ceased praying for them for divine intervention. 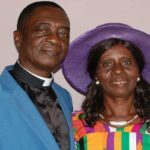 “Through these prayers the Lord opened the heavens to us and my wife conceived,” Elder Owusu told PENTECOST NEWS. Speaking at the christening of the newborn child at Krachikrom Central Assembly on Friday, May 18, 2018, the Krachikrom District Minister, Pastor Kofi Boateng, asked Christians to keep on trusting God even in good and bad times, since there is nothing too hard for the Lord to do. He admonished parents to take good care of their children and train them in the way of the Lord. In attendance were officers, members, family members and loved ones of the couple.